Phone scammers have had a lot of success cheating Americans out of billions of dollars, and they might have even more luck this year, with experts estimating at least half of all cellphone calls in 2019 will be from scammers. Senior citizens have been especially vulnerable, but in the case of William Webster and Lynda Webster, the scammer couldn't have picked a worse target. In 2014, William got a call from a man who told him he'd won a grand prize, but he'd have to pay a tax up front to claim the money. Lynda also took a call from the scammer that got very heated: When she said she was onto him, he came back with threats, saying he knew where she lived and could set the house "ablaze" and kill her. What the scammer didn’t know was William wasn’t your average retiree. He’s the only man who has ever served as the director of both the FBI and the CIA. So naturally he got the FBI involved. Officials are reporting a recently confirmed sighting of Carlson. This information is being shared with the public in order to generate tips that lead to Carlson's arrest. A reward of up to $100,000 is being offered in exchange for information leading to the arrest of Carlson. Approximately two weeks ago, the FBI received information of a confirmed sighting of Carlson in the Mount Pleasant area of South Carolina where Carlson has known ties. Based on this information, investigators believe that Carlson is likely still in the southeast area of the United States. Agents have conducted additional investigation in the area but to date, have not located Carlson. Carlson was seen in a late model white Hyundai Accent vehicle which he had been driving on previous occasions. The state and number of the license plate on the vehicle seen by eye-witnesses two weeks ago is unclear but investigators suspect Carlson may have stolen a plate from another vehicle. If you have information that may lead the FBI to this fugitive, please call 1-800-CALL-FBI. 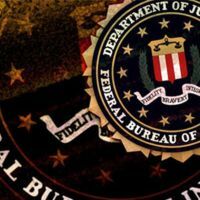 The FBI's Jacksonville division warned central Florida residents and others of a blackmail scam claiming to have evidence of adultery to its victims. The scammer usually threatens to reveal the information to the recipient's family or spouse unless demands are met, according to the FBI. 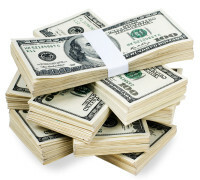 If you come across this scam, FBI recommends you report it to law enforcement. You could also submit information to the FBI's Internet Crime Complaint Center. The warning comes as a study released in June reveals sweepstakes, lottery and prize-related scams cost Americans millions of dollars each year. The Better Business Bureau calls these schemes some of the "most serious and pervasive frauds operating today." Impostor scams were again the top fraud in 2017, according to the FTC, which has detailed 2.7 million complaints of scams last year. This operation isn't just about taking traffickers off the street. It's about making sure we offer help and a way out to these young victims who find themselves caught in a vicious cycle of abuse. 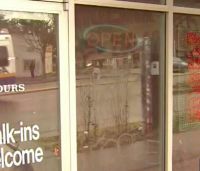 California prosecutors can bring money laundering charges against the creators of a website that prosecutors label an online brothel, a judge ruled Wednesday. But he dismissed other charges months after another judge threw out the entire case as violating free speech and federal protections. Deanna Robichaud has been getting some strange phone calls. Consumer experts warn against calling the suspicious numbers because it can be another way for scammers to get personal information. “If they get you on a recording saying yes, then they can use that for you to have agreed to any number of terms and conditions or modifications to your account," said Krista Ferndelli of the Denver-Boulder Better Business Bureau. There’s nothing more frustrating than eagerly answering a call only to find out it’s a telemarketer or, worse, a scammer. There are some phone calls with certain area codes that you should never pick up under any circumstances. Any phone number that starts with 473 is a surefire sign that the call is a scam. Also avoid answering numbers with 809 or 900 along with many others. If someone claiming to be an FBI or other federal agent shows up at your home or office and demands money -- you could be in big trouble! Not in trouble with the police, in fact, you should call the police -- because anyone who shows up unannounced and demands money on behalf of the government is a crook trying to catch you off guard. "The FBI will absolutely never demand money from somebody." You answer the phone and the person on the other end says, "can you hear me?" Seems harmless -- in fact, it happens all the time, so why would you think anything of it? That's exactly why criminals behind a new scam are using it as a ploy to trick unsuspecting consumers. Once they have a recording on file of your voice saying "yes," scammers can then use it to authorize unwanted charges on bills, credit cards and more. Bottom line: So don't say anything and​ don't press any buttons -- just hang up! Police say scammers falsely claiming to be from the IRS or law enforcement are still a big problem. But a new tool from the Better Business Bureau may help you fight back. It reveals how crooks trick people into taking their calls and where they may be calling from. 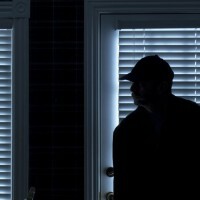 Find out what burglars said deterred them and what didn't and learn how to protect your home. In June 2013, TODAY national investigative correspondent Jeff Rossen reported on a wave of auto thefts involving a high-tech gadget giving criminals full access to your car. Police were stumped. But now officials say they may have solved the mystery. USA Today has some tips and advice to protect your delivered packages from brazen thieves who steal from your front doorstep in broad daylight.